The Dynasty Warriors franchise has seen quite a handful of titles and spinoffs in its age. Although the series is now nearly 17 years old, we still see developers at work on it and others eager to play. For now, Namco and Sony have announced that they will be releasing Shin Dynasty Warriors Gundam in Singapore with Japanese voice-overs and Chinese subtitles. The game traditionally comes with Japanese voice-over but the Chinese subtitles are the first for the series – we just hope they are not the last. It probably isn’t asking too much if someone wishes for a day when it gets English subtitles. Anyhow, good news for Asian folks, Namco Bandai’s Taiwan studios and Sony Computer Entertainment Japan have struck a deal to go together on the project. Prior to this there only was the Japanese voiceover and those who bought the game that way, will be able to use the same save data and play with Chinese subtitles when it is released. Dynasty Warriors is a tactical action game based on the classical Chinese novel Romance of the Three Kingdoms. Shin Dynasty Warriors Gundam is actually the third sequel of Dynasty Warriors: Gundam (Gundam Musou in Japan) which in turn is a spinoff of Dynasty Warriors that originally released back in 2007. It is also regarded as a remake of the whole series. 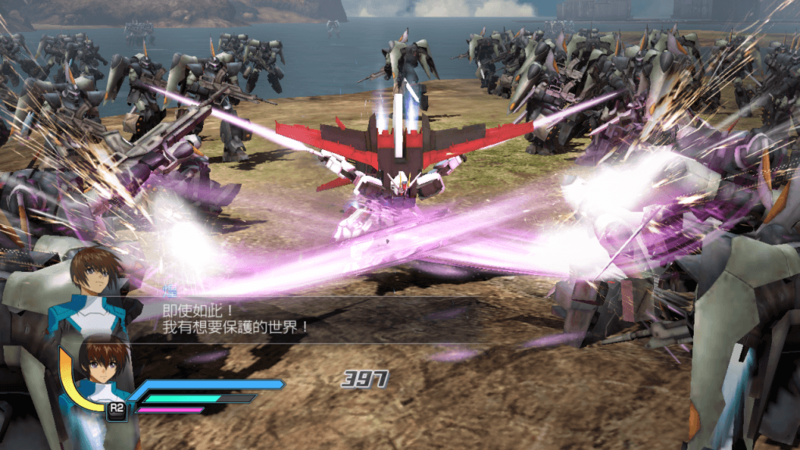 Shin Dynasty Warriors Gundam will release in Singapore in January 2014.